Years later, no work has been done, no plans have been filed and the building is visibly decaying. Read on, for up-to-date high resolution pictures (taken on the site, today) and a little speculation about the state of mind of the Scientologists of Plymouth. I have described the building that is supposed to become Plymouth’s Ideal Org in previous posts. 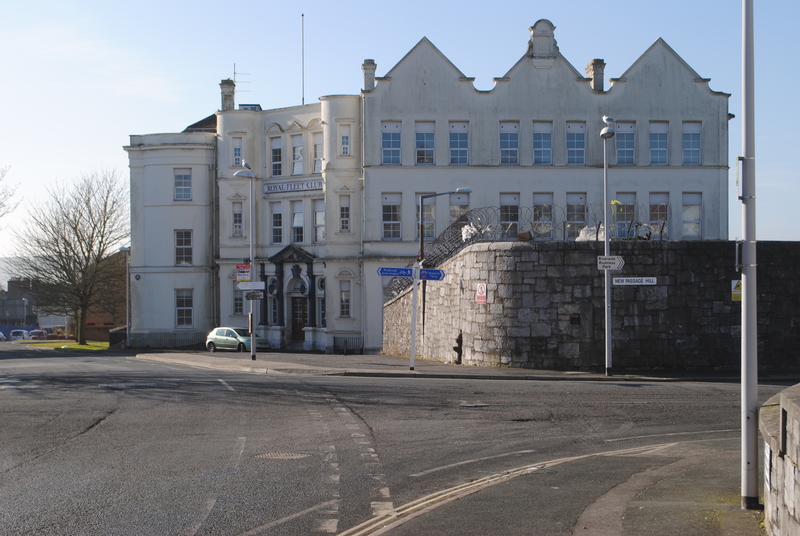 Situated close to the Royal Dockyard in Devonport, it was built to provide visiting Royal Navy personnel and Royal Marines with a (respectable) place to stay. After it was sold by the Royal Navy, it had a brief and unsuccessful career as a hotel. 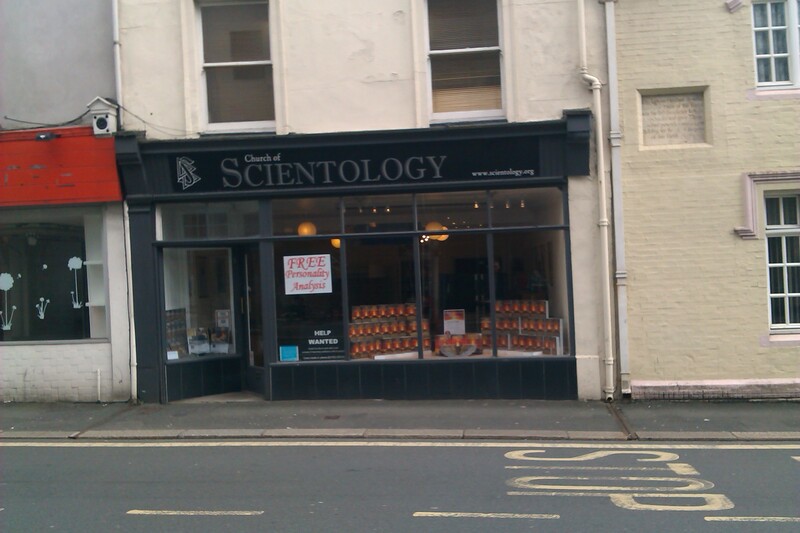 In 2010 the building was sold to the Church of Scientology for £1,000,000 ($1,680,187). It is now 2015… and the place is still empty and untouched. 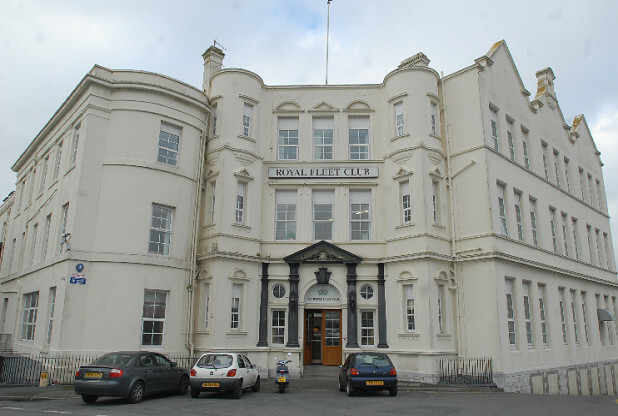 It’s not difficult to see why – it has 50 rooms, 2 ballrooms, kitchens, storage areas and… well, it’s a big building – too big, considering that, according to the 2011 National Census, there were only 26 Scientologists in Plymouth (including ‘independents’) and only 2,418 in the entire country. Local Scientologists soldier on in their more modest premises near the central shopping area (where they at least have access to foot traffic). In contrast, their Ideal Org is in an out-of-the-way part of the city increasingly surrounded by affordable housing. So what has changed since June the 6th 2014, when I last photographed the place? To illustrate this, I went to the building to take a picture of the real thing for comparison purposes – and discovered some interesting developments. It is possible that the Ideal Org project in Plymouth (the only one in the UK which is self-financing) is on the move again. 18th October 2018 – I observed a couple of men with hard hats outside of the old Royal Fleet Hotel,I think they had just been inside for an inspection. A few days ago some workmen were at no 10 Morice Square, it’s one of the houses attached to the Royal Fleet Club, they have taken out some items of furniture – a divan bed base and a couple of chairs from a 3 piece suite, they have been working with face masks on and when I asked one of them what they were doing I was told Environmental repairs. I read that the Church of Scientology have finished their Birmingham Org, it looks like a Las Vegas Hotel from the outside, and that a local council have told them that they must do repairs in another building that they left for over 10 years because it is becoming in such a severe state that if allowed to progress it will be beyond saving. I spoke to one of the people who were staying as night watchmen/caretakers and was told that they had seen the plans for the Devonport building and that they thought they were fantastic, they were to be finalised and then submitted to the council. I will not hold my breath. I just wish the Plymouth Council would buy the building back by compulsory purchase so that it can be used for flats or something useful for the community. I have reliable information that, for some time, the pitched roof has been leaking, and water runs down the walls. The place is soaking, and furniture most be mouldy and dangerous. It would be great if the council were to take action on this – and the fact that the ‘night watchmen’ are likely living there, having nowhere else to go. The question is, was it the council that were clearing the place out? It would be great if it was, but it could just as well be Scientologists mucking it out, as they do periodically (an awful lot of hotel stuff was left over and it costs money to dispose of it). I documented the opening of the Birmingham org (it’s a recent post and I will provide a link when I get home). It’s been restored but is nothing special. Everyone at the org has been shown the plans for the Royal Fleet at fundraisers for ages. In fact, if you walk past the present Ebrington Street org, the architects computer renderings of the interior have been blown up to poster size, framed and displayed on the walls for months now. However, they have still not applied for planning permission – you can check this on the council website. I’m with you there – I’m not holding my breath until Plymouth Ideal Org makes its appearance either. I’m not sure the council would want the building, though, it’s likely to cost a lot to restore or demolish and its status in local history will make that more expensive and difficult to do. If you spot anything else, there, please email me. I’m planning to take a closer look at the place soon, and any information would be most welcome.